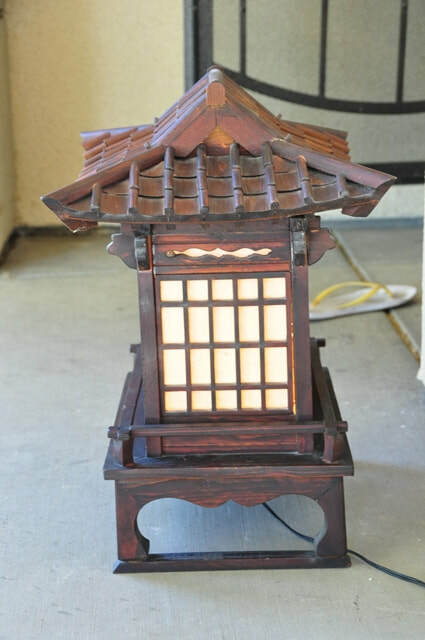 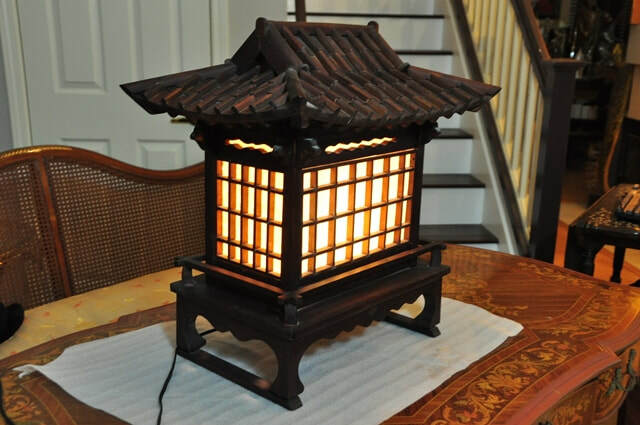 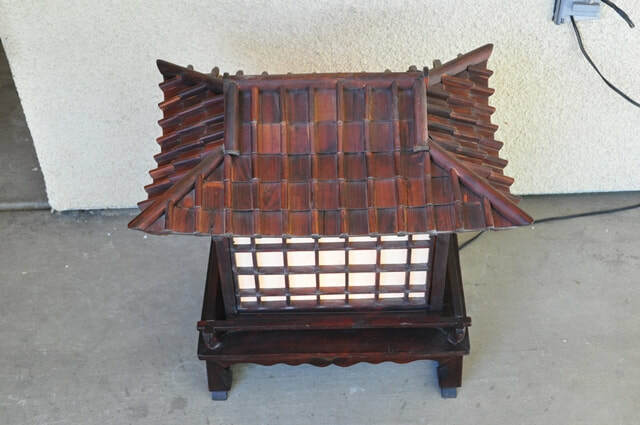 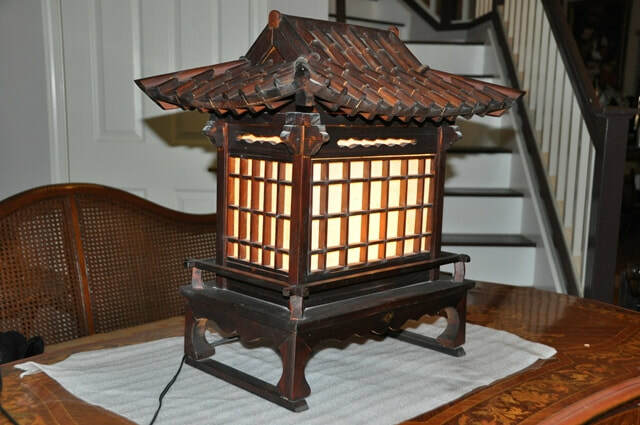 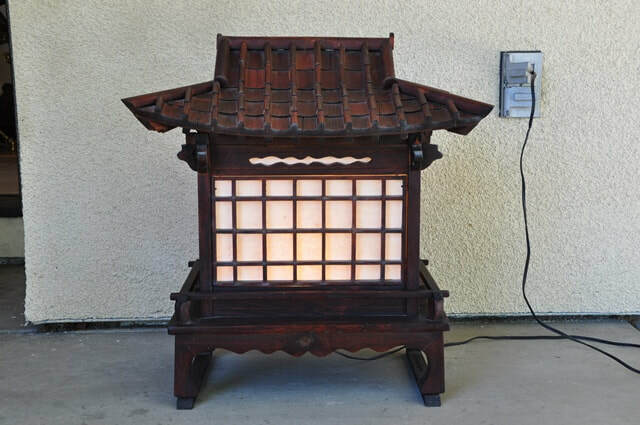 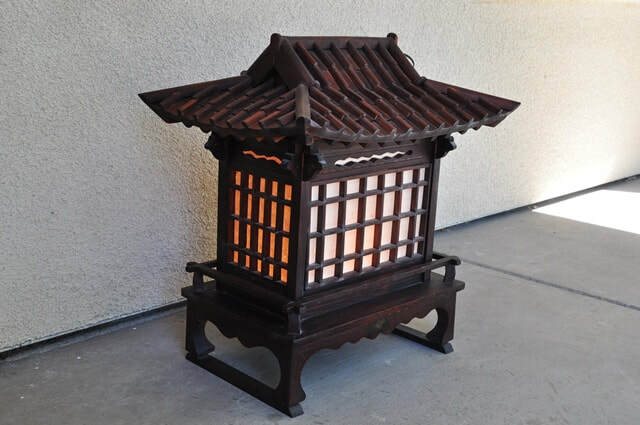 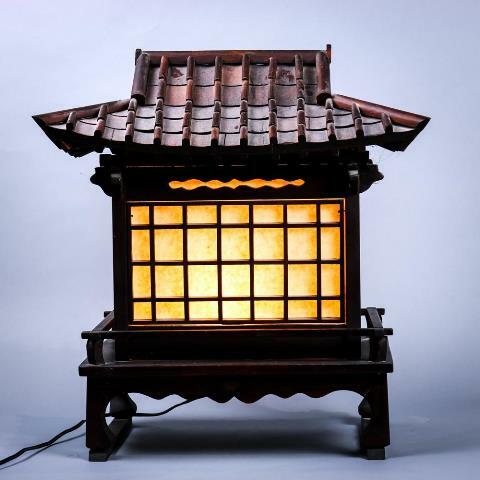 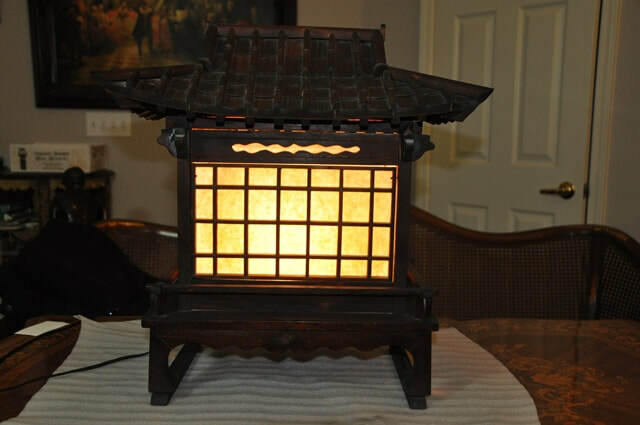 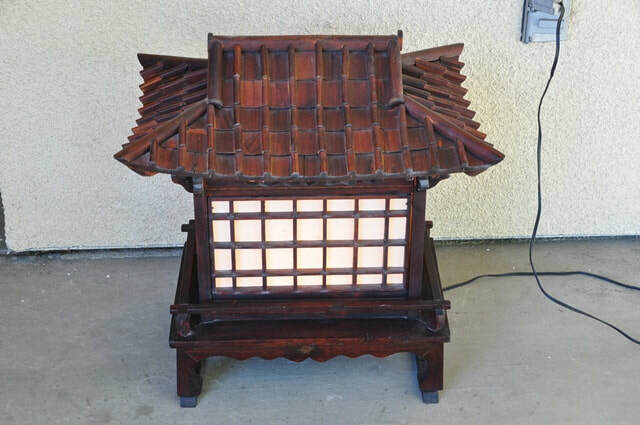 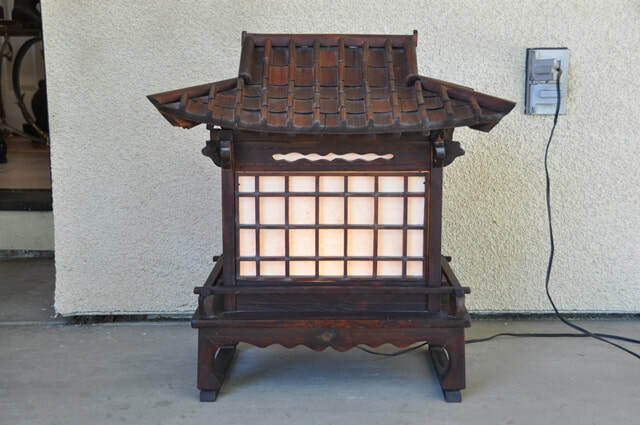 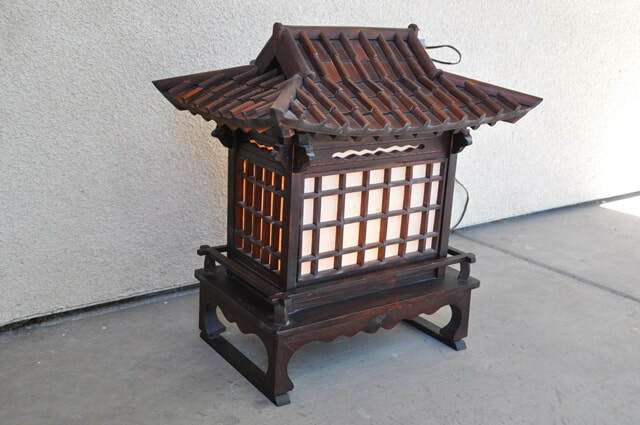 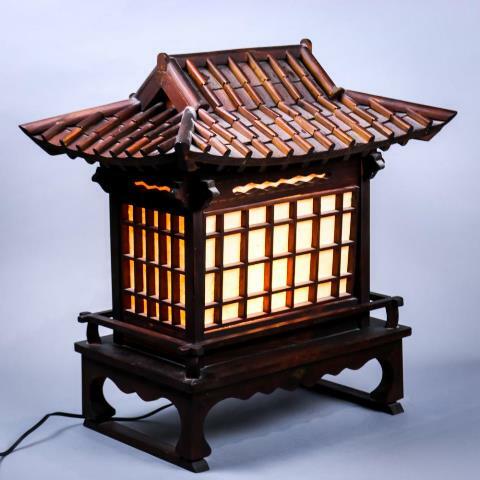 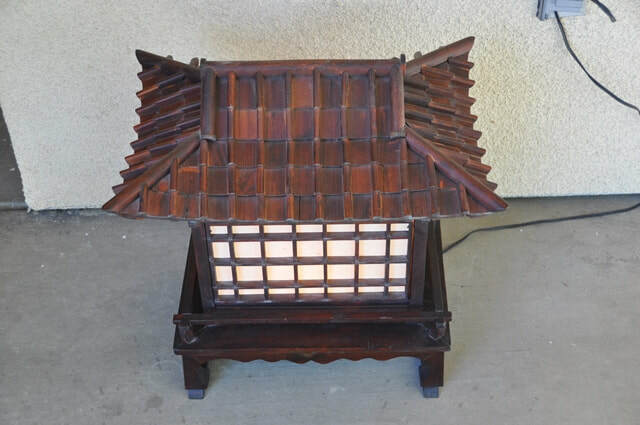 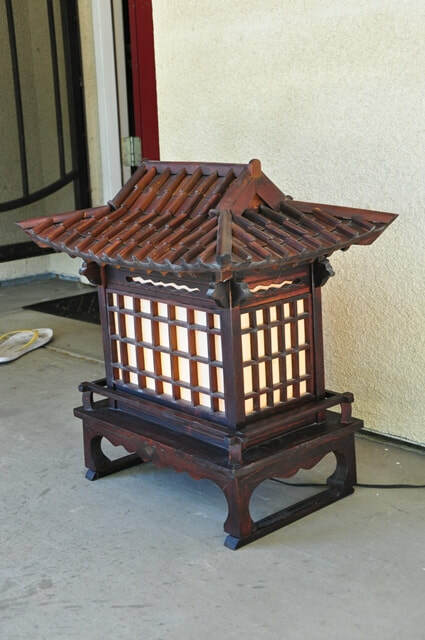 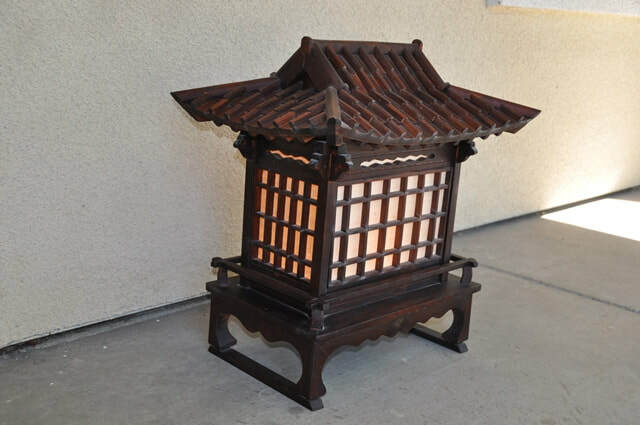 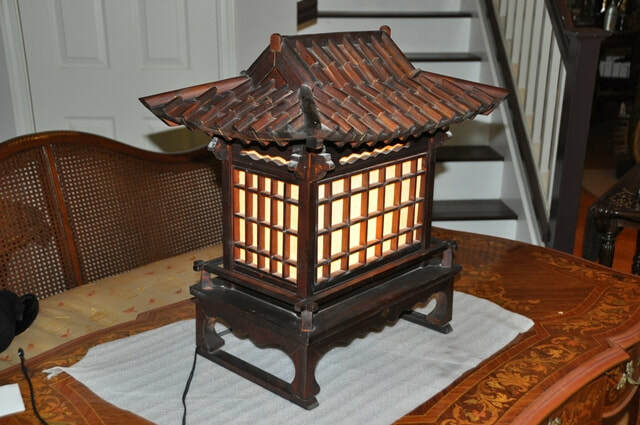 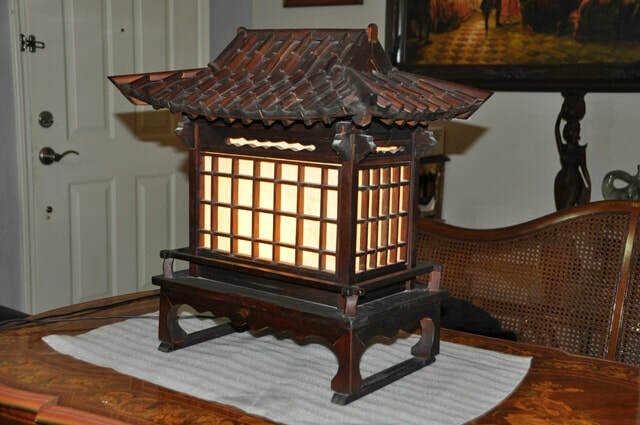 This is a vintage Asian electrified lamp in the form of an Asian pavilion house, similar to a hanok (Korean traditional house). 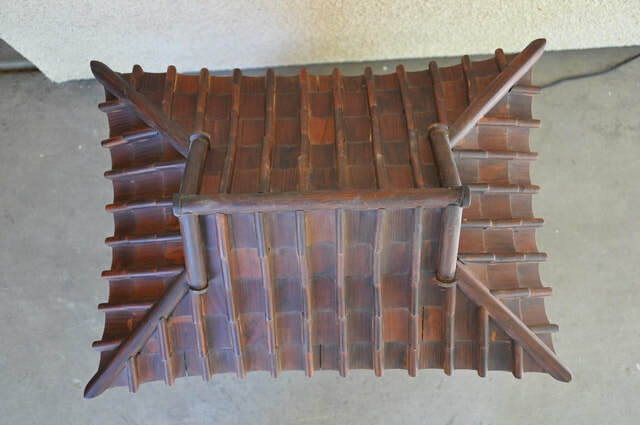 The house and its roof are made of wood. 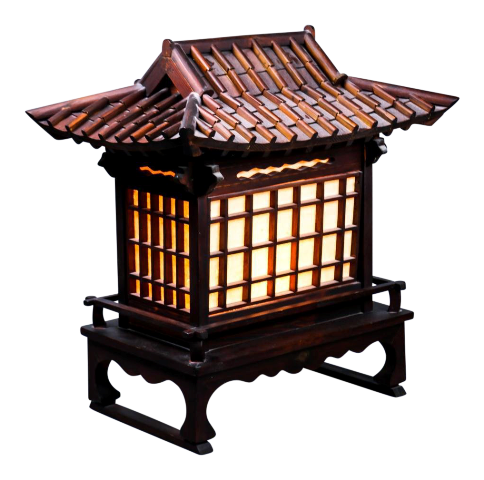 The walls have paper on wooden screens. 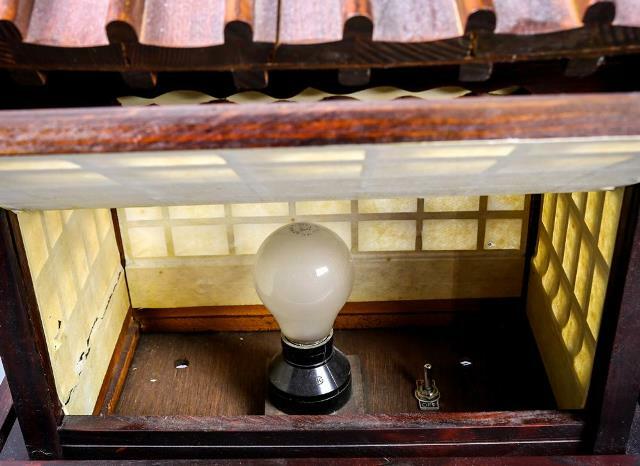 There is one bulb inside the house walls. 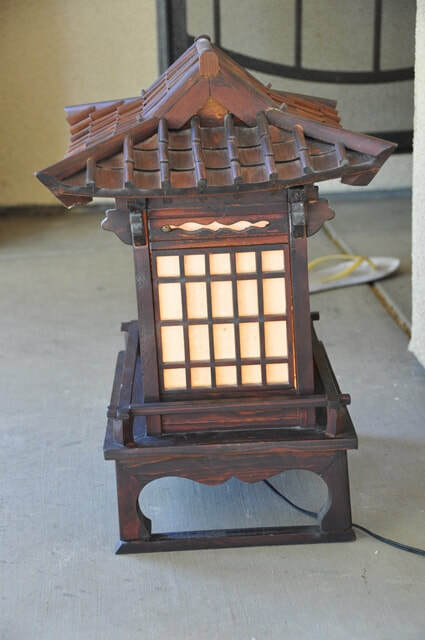 It is quite large at 22" tall, 19.5" wide and 14" deep.